It's almost spring 🙌🏻 And we cannot wait to show introduce you to our entire spring line! 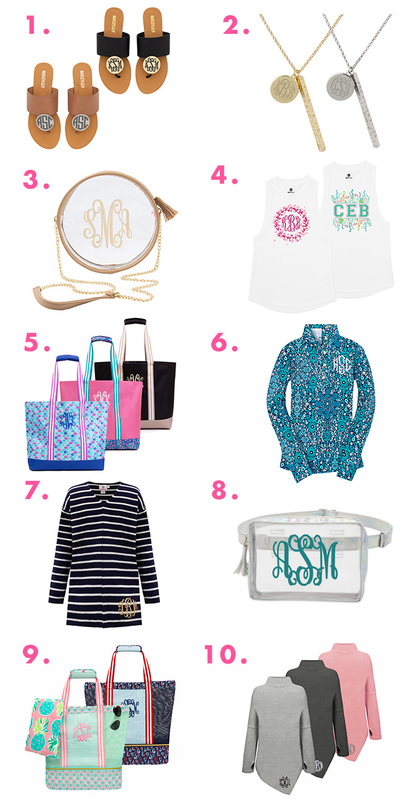 Here are a few of our newest, best-selling monograms to keep you on your toes until then! Get your summer pedicure ready for these monogrammed sandals! Available in black and tan, these personalized shoes are perfect for date night, vacation and so much more! Keep your favorite verse close to heart with this personalized necklace! Available in gold and silver, this plated brass necklace has a prism charm with a debossed verse of "She is clothed in strength and dignity." Perfect for a concert or sports game, we love this trendy monogrammed crossbody bag that meets all stadium bag policies and can hold all of your must have essentials! Get your favorite designs now on a tank top with these personalized tanks! These monogrammed tank tops are super soft and perfect for warmer weather! Gear up for summer with an oversized monogrammed beach bag! Available in 3 stylish patterns – it's hard to pick a favorite! You will LOVE this new print for spring! Wear this athleisure piece, to run errands, or throw on some white shorts for a cute #OOTD! If you're looking for something to wear with your mini-me, you will also love these Monogrammed Kids Printed Shorts! This new sweater is the perfect piece to transition into spring! It has a super soft and relaxed fabric! Trust us, once it's yours, it will be your new go-to! Keep your arms and hands free with this convenient and cute personalized belt bag! Stadium friendly, this bag is large enough to carry everything you need. A two-in-one beach AND tote? Count us in! Rep this new bag at the beach, pool, lake, or wherever else you'll be spending your time this spring and summer! The upper mesh compartment is perfect for all your throw-in items, and the bottom cooler will keep all your snacks cool and ready to devour. Need we say more?! So soft and stylish, you can't go wrong with this versatile personalized tunic! It has thumb holes on the ends of each sleeve, making it extra cozy! 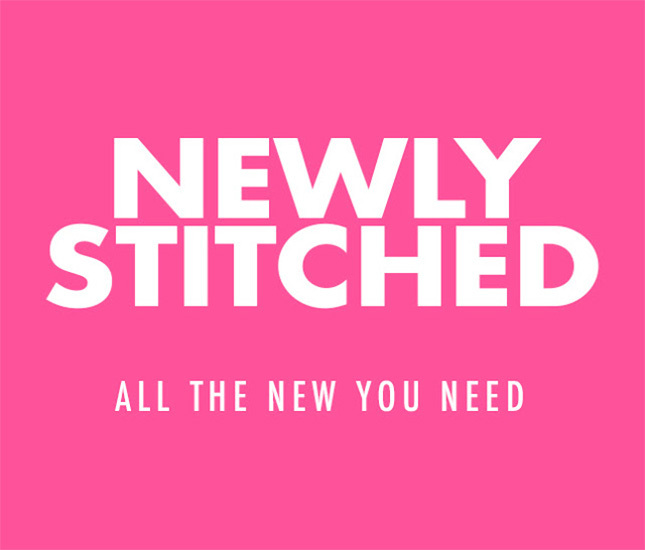 What new arrivals are your favorites? Let us know in the comments below!